Late last month the Department of Justice Antitrust Division and the Federal Trade Commission jointly issued ANTITRUST GUIDANCE FOR HUMAN RESOURCE PROFESSIONALS. 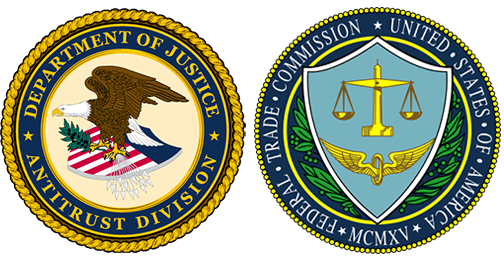 The Guidance, written in plain English rather than antitrust jargon, “is intended to alert human resource (HR) professionals and others involved in hiring and compensation decisions to potential violations of antitrust laws.” The release doesn’t break new ground in terms of antitrust principles; instead, it serves as a reminder that those who hire employees and set compensation are subject to the same antitrust rules and potential penalties—including treble damages in civil actions and possible criminal liability—as those who compete in the sale of products. “From an antitrust perspective, firms that compete to hire or retain employees are competitors in the employment marketplace, regardless of whether the firms make the same products or compete to provide the same services." The Guidance includes several pages of questions and answers designed to put real-world “meat” on the bones of the antitrust principles discussed earlier in the pronouncement. These illustrate both how an HR professional might unwittingly violate the law and ways that violations can be avoided. The repeated warnings about potential criminal liability should be taken to heart, particularly in light of the DOJ’s recent focus on individual responsibility and accountability, crystallized in the “Yates Memo” last fall. The Guidance should be required reading for any HR professional.